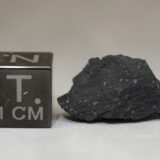 Fragments of the Tagish Lake meteorite landed upon the Earth on January 18, 2000 at 16:43 UT (08:43 local time in Yukon) after a large meteoroid exploded in the upper atmosphere at altitudes of 50–30 kilometres (31–19 mi) with an estimated total energy release of about 1.7 kilotons. Following the reported sighting of a fireball in southern Yukon and northern British Columbia, Canada, more than 500 fragments of the meteorite were collected from the lake’s frozen surface. Post-event atmospheric photographs of the trail left by the associated fireball and U.S. Department of Defense satellite information yielded the meteor trajectory. Most of the stony, carbonaceous fragments landed on the Taku Arm of the lake, coming to rest on the lake’s frozen surface. The passage of the fireball and the high-altitude explosion set off a wide array of satellite sensors as well as seismographs. The local inhabitants described the smell in the air following the airburst as sulfurous and many first thought the blast was caused by a missile. The Tagish Lake meteoroid is estimated to have been 4 meters in diameter and 56 tonnes in weight before it entered the Earth’s atmosphere. However, it is estimated that only 1.3 tonnes remained after ablation in the upper atmosphere and several fragmentation events, meaning that around 97% of the meteorite had vaporised, mainly becoming stratospheric dust that was seen as noctilucent clouds to the northwest of Edmonton at sunset, some 12 hours after the event. Of the 1.3 tonnes of fragmented rock, somewhat over 10 kilograms (22 lb) (about 1%) was found and collected. Tagish Lake is classified as a carbonaceous chondrite, type C2 ungrouped. 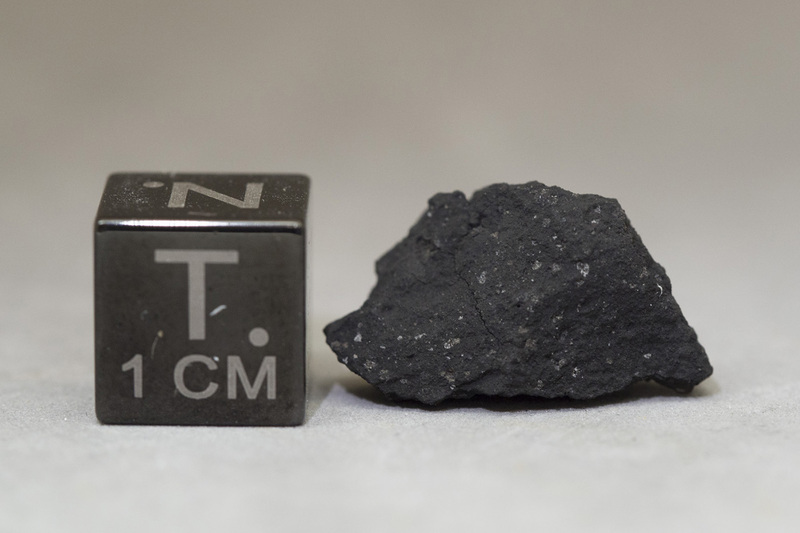 The pieces of the Tagish Lake meteorite are dark grey to almost black in color with small light-colored inclusions, and a maximum size of ~2.3 kg. Except for a greyish fusion crust, the meteorites have the visual appearance of a charcoal briquette. The fragments were transported in their frozen state to research facilities after they were collected by a local resident in late January, 2000. Initial studies of these fresh fragments were done in collaboration with researchers from NASA. Snowfall covered the remaining fragments until April 2000, when a search effort was mounted by researchers from the University of Calgary and University of Western Ontario. These later fragments were mostly found to have sunk into the ice by a few cm to more than 20 cm, and had to be collected out of meltwater holes, or cut in icy blocks from the frozen surface of Tagish Lake. Based on eyewitness accounts of the fireball caused by the incoming meteorite and on the calibrated photographs of the track which it had left behind and which was visible for about half an hour, scientists have managed to calculate the orbit it followed before it impacted with Earth. Although none of the photographs captured the fireball directly, the fireball path was reconstructed from two calibrated photos taken minutes after the event, giving the entry angle. Eyewitness accounts in the vicinity of Whitehorse, Yukon accurately constrained the ground track azimuth from either side. It was found that the Tagish Lake meteorite had a pre-entry Apollo type orbit that brought it from the outer reaches of the asteroid belt. Currently, there are only eleven meteorite falls with accurately determined pre-entry orbits, based on photographs or video recordings of the fireballs themselves taken from two or more different angles. Further study of the reflectance spectrum of the meteorite indicate that it most likely originated from 773 Irmintraud, a D-type asteroid. But more recently, Bill Bottke of the Southwest Research Institute in Boulder, Colorado, and his colleagues suggest that in the early solar system the shifting of the giant planets – Jupiter, Saturn, Uranus and Neptune – may have hurled debris from the outskirts into the asteroid belt. And some rocks, including the Tagish Lake meteorite, might then have travelled onwards to Earth. That means that the origin of the parent body of Tagish Lake meteorite would be located in the Kuiper belt.